When you’re deciding which company to trust with your ability to communicate with your friends and family, what are the factors most important to you? There’s many to consider, but the one that rises to the top for us is dependability of coverage. 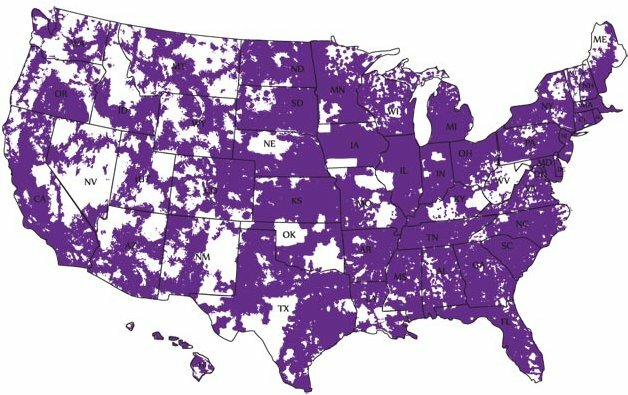 With Budget Mobile, your can depend on a national network with reliable coverage anywhere you go in the United States. From Hawaii to Maine, we’ve got every inch of ground covered. Of course, we are talking about wireless signals here, so some dead-spots are inevitable. However, you can rest easy knowing that you will have service on your Budget Mobile phone anywhere in the United States. Learn more about our coverage, and our free Lifeline phones, on our website. Have questions? We’d love to chat with you on our Facebook page or Twitter feed.